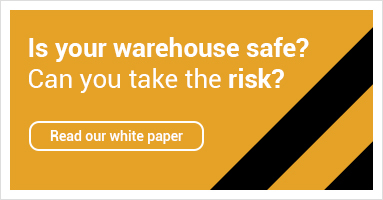 Thinking of automating your warehouse operation? You’re already looking at a major financial investment. Some companies will benefit from full automation. Others will quickly discover it’s not quite right for them. Let us help you make the right choice. Automation vs. semi-automation? It's a hot topic. Some believe automation will cut staff costs, reduce errors and speed-up delivery times. Others are sticking to the tried and tested manual methods they’ve used for decades. Thankfully, with the help of our expert team, you can find the solution that's right for your operation. MOVO, the mobile pallet racking solution from Dexion, provides dense pallet storage. It helps to reduce costs for a new building and better-utilises existing warehouse storage space. Hi280 shelving offers further versatility when combined with Compactus® mobile bases. Our Automatic Storage Machines can significantly improve the efficiency of your product storage and picking. TC2000 article management software is especially developed for Tornado, Paternoster & HOCA and you can have it included as standard with all our machines. The Pallet Shuttle System removes the need for forklift trucks to enter the aisles and hence offers a cost effective and time saving storage solution.